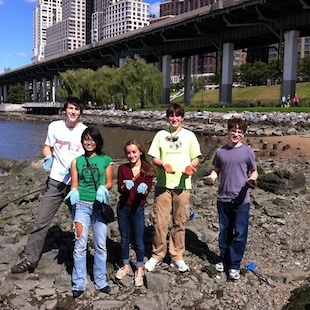 Young U.S. environmental activists create big changes one school at a time! Participants learned how to organize their fellow students, inform and educate their families and communities and initiate change for a “greener” future in Legacy’s Indonesia-US Youth Leadership Program. See creative and sustainable Indonesian Environmental projects, also. 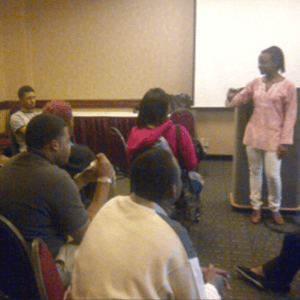 Michelle created Project U&I to promote greater cultural and environmental awareness in the St. Charles area amongst teens and young adults. Michelle made a documentary video to help educate people about Indonesia, and highlights portions of her trip to Indonesia including interviews with Indonesian students and environmental endeavors. Arial founded SEA “Students for Environmental Action” club devoted to improving school sustainability, the creation of a plan to improve and draw attention to recycling at the school, and designing and garnering support for a research essay contest on how to improve recycling at school. 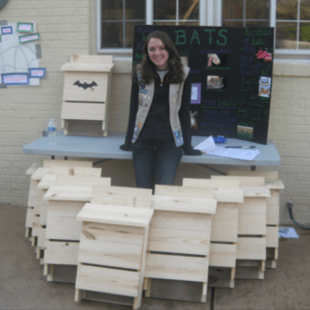 Katherine project is to create more habitat space for bats and educate people of their importance to our ecosystem. She held educational session on bats, in America and Indonesia, and discussed the similarities and differences between America and Indonesia while relating the similarities between the bat populations. Justin’s goal is to make the Bronx a greener city. He worked with his community and his school’s community service teams to organize a day dedicated to cleaning parks and planting trees, and a year focused on maintaining the work and teaching younger students and the larger Bronx community about our environmental impact. He hopes to also encourage volunteers to come up with small projects to green their own spaces such as plant a small garden, replace light bulbs with fluorescent bulbs, learn water conservations techniques, create recycling programs in their schools and neighborhoods, etc. 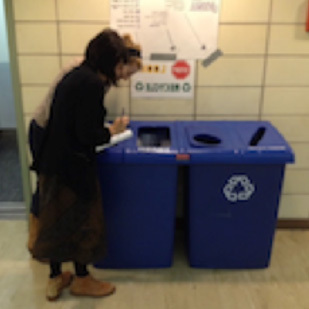 Read about Christo’s “Reduce, Reuse, Recycle” project, a trash management program with separation bins plus workshops on how to make saleable products from recycled materials.